Believe it or not, America’s fascination with celebrity culture was thriving well before the days of TMZ, Perez Hilton, Charlie Sheen’s breakdown and allegations against Woody Allen. And the stars of yesteryear? They weren’t always the saints that we make them out to be. 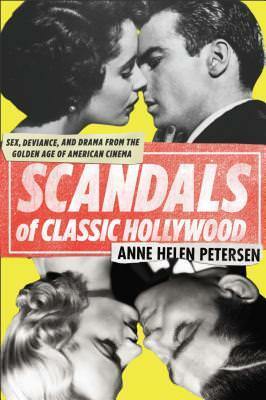 BuzzFeed columnist Anne Helen Petersen is here to set the record straight with Scandals of Classic Hollywood. Why did I want to read Scandals of Classic Hollywood? I’ve always been fascinated with the scandals that happened in Classic Hollywood. Sometimes, I would find myself reading Wikipedia pages of those Classic Hollywood stars, and their stories are so riveting. What do I like about it so far? The scandal! The drama! I liveeeee for this! Thirteen-year-old Bina has a long summer ahead of her. She and her best friend, Austin, usually do everything together, but he’s off to soccer camp for a month, and he’s been acting kind of weird lately anyway. So it’s up to Bina to see how much fun she can have on her own. 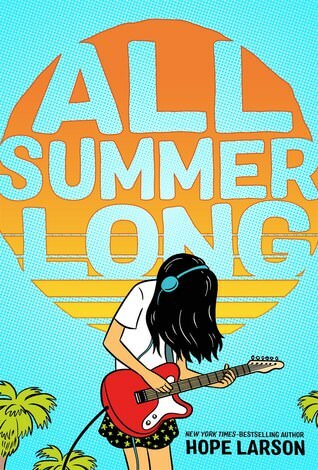 At first it’s a lot of guitar playing, boredom, and bad TV, but things look up when she finds an unlikely companion in Austin’s older sister, who enjoys music just as much as Bina. But then Austin comes home from camp, and he’s acting even weirder than when he left. How Bina and Austin rise above their growing pains and reestablish their friendship and respect for their differences makes for a touching and funny coming-of-age story. Why did I want to read All Summer Long? I love Hope Larson’s work. What do I like about it so far? I love how it really sets you in this Summer mood, especially with Summer around the corner. 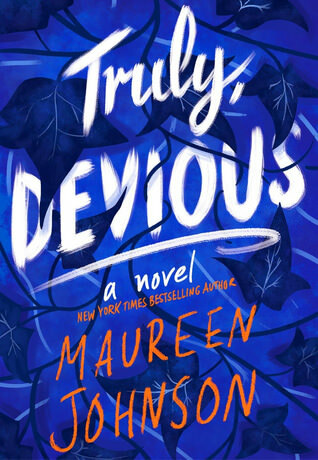 I bought Truly Devious a couple of weeks ago and I’m really looking forward to it. I read some of Maureen Johnson’s earlier books and liked them, but this sounds like it has a very different feel to it. Glad you’re enjoying it! If you like mysteries set in private schools you might like People Like Us by Danda Mele! *Dana Mele, sorry for the typo!